Winter in Chicago can feel like a never-ending slog of cold and bleakness. Eventually, spring does come, although there are usually a few false starts before it arrives. When it does show up, there is an excitement in the city that you only know if you’ve experienced it. People seem to glow, there’s an extra spring in their step, and all those other cliches about the season turn out to be true. 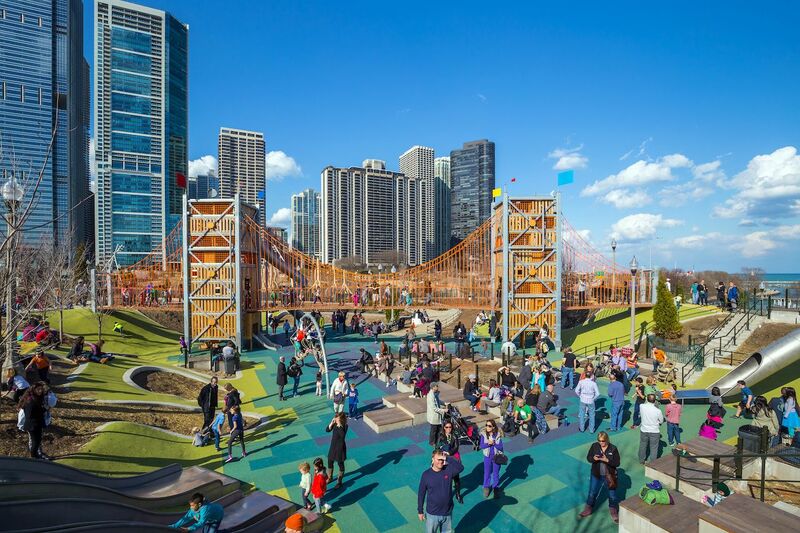 A time for renewal and festivity, here are some of the best ways to celebrate spring in Chicago. 1. Hit up a patio. One sure way to tell it’s finally spring is that all the bars and restaurants start opening up their outdoor patio seating. Finding a patio seat in the sun is one of the best ways to celebrate the season. You don’t even have to pick a great restaurant or bar, as the outdoor setting will add at least one extra star to whatever you eat and drink. Just find somewhere decent, take a few friends along, and enjoy your favorite food and drinks while basking in the glorious weather that a month ago seemed like it would never come. 2. Get out on the Lakefront Trail. 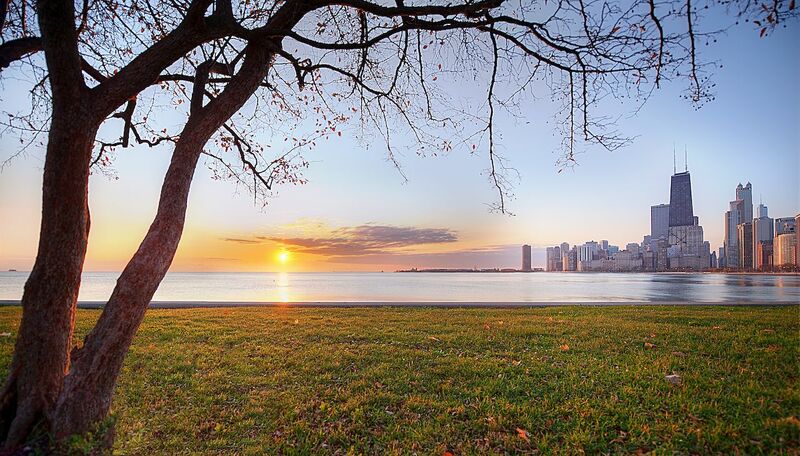 One of the nicest places in the city to see spring in full bloom is along the Lakefront Trail and in the parks that it passes through. The bright green grass contrasted against the deep blue water of the lake pretty much epitomizes the expression “a sight for sore eyes” after the long winter. You can go for a leisurely stroll, or get a jump start on working on that summer body and go for a run or bike ride. 3. Take a private boat out on the river. 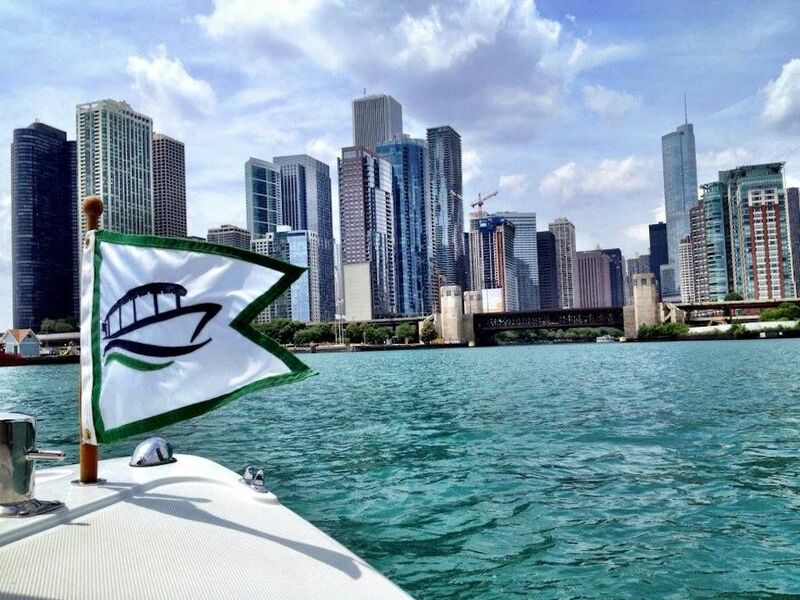 Chicago Electric Boats is a company that will rent you an easy-to-drive electric boat to cruise the river with yourself and up to nine friends. 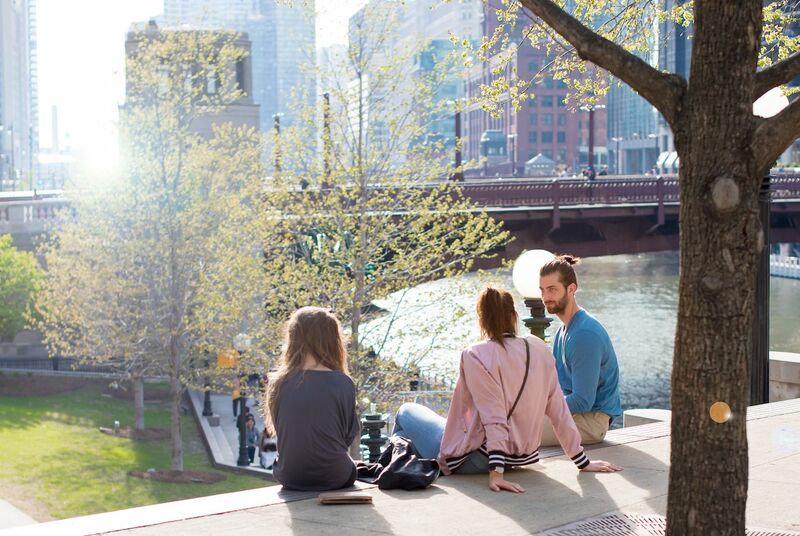 Not only do you get to soak in the spring weather in the best vantage point of one of the world’s greatest downtowns, but you can bring your own music and booze and they supply a cooler and a good speaker system. A two-hour tour can cost up to $300 but you can usually score it on Groupon for $120. 4. Work out in a city park. Spring is the time to start cramming in that last minute fitness to get your summer body ready, but if you’re trying to bulk up that usually means being stuck inside a gym. There is a great alternative, however, for those days when the weather is just too perfect. The Chicago Park District has nine fitness courses in parks around the city, all listed at the link above. These courses have ab benches, rings, pull-up bars, parallel bars, horizontal ladders, and just about anything else you could need to get in a full bodyweight workout while soaking up the spring weather. 5. Head out to the ballpark. For a lot of Chicagoans, opening day is the real start of spring. 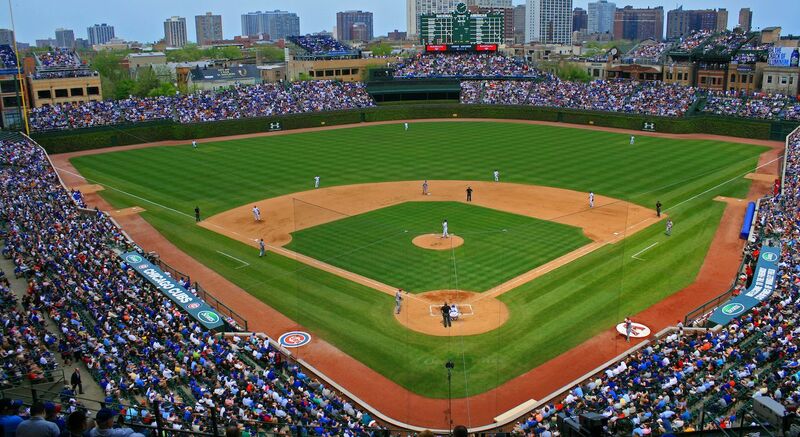 Catching a Cubs game at Wrigley Field, or a Sox game on the South Side, is one of the best ways you can spend three hours outdoors in Chicago during spring and summer. A hotdog, a cold beer, and the sound of the crowd rooting on the home team may be the most Chicago way to welcome in spring. Bring a jacket though, because snow baseball isn’t unheard of in the Windy City. 6. Go for a picnic. A picnic is the ultimate celebration of the arrival of spring and happy farewell to winter. It’s a proclamation that you won’t be cooped up indoors anymore and you’ll be eating your meal outdoors, thank you very much. You can get a bunch of friends together and prepare an elaborate spread, or just take your lunch outside with a coworker. 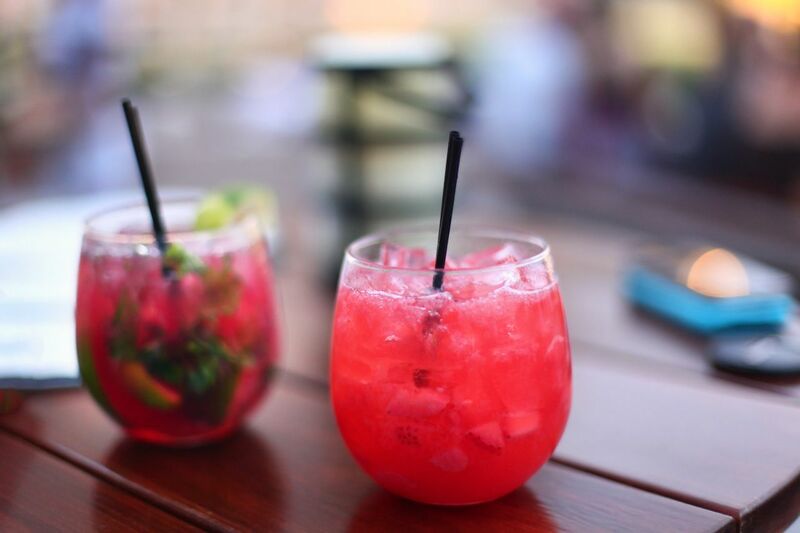 Either way, you’re ringing in spring the right way. 7. Run or ride the 606. 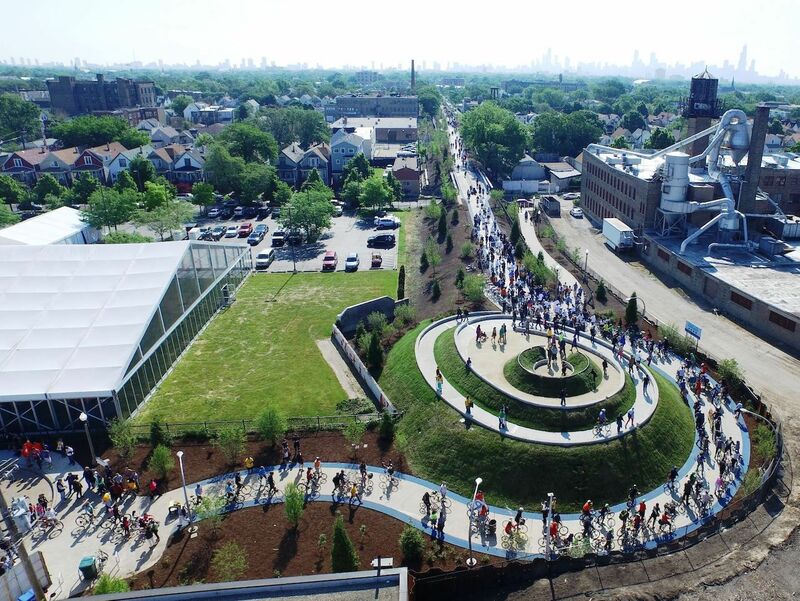 The 606 is a path for runners and bikers set on a disused elevated freight train line, and it’s a great place to be outdoors in Chicago in any season, but especially in the spring. You can get your cardio on, go for a walk, or grab a bench and enjoy some excellent people watching. The landscaping starts coming back into its own in late spring, and there’s always exciting new public art debuting each year. A kayak is a great way to get a new perspective on the city by seeing it from water level, either in the river or on the lake. 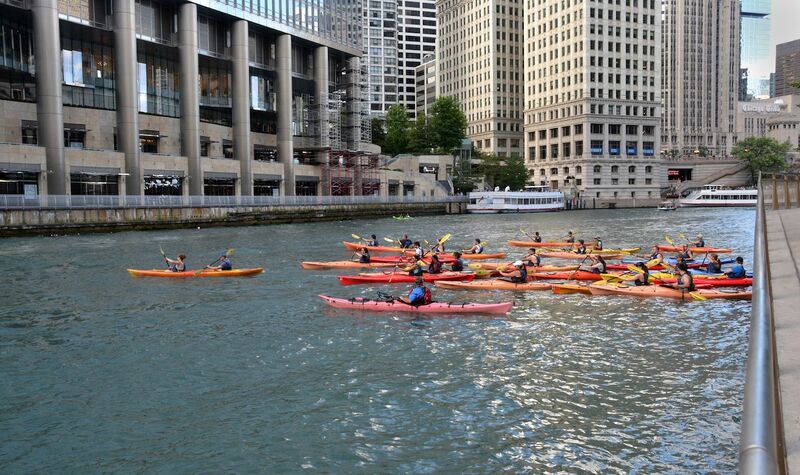 Kayak Chicago runs trips and does rentals for experienced kayakers on both bodies of water. While the lake water in spring is still way too cold for all but the bravest souls (and you’d never want to swim in the river), getting out on the water in the glorious sunny weather is a perfect way to welcome spring.